Browse the web today and if people aren’t talking about Comcast’s bid to buy Time Warner Cable, they’re talking about how Android isn’t as open as Google would have you think. Except this really isn’t news. Nor is it that different from other software arrangements in the market. And it’s not even as complicated as you might think. One sentence. 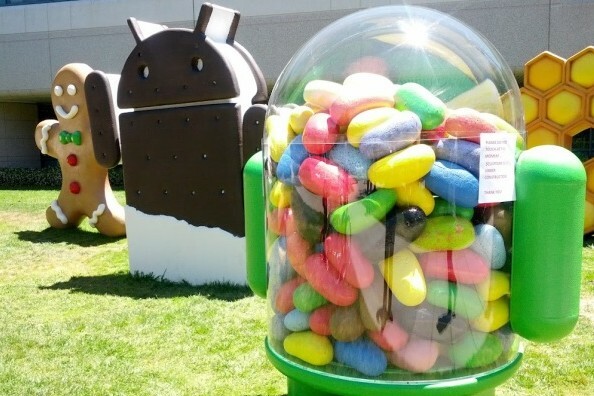 Android is open, but if you want to play in Google's sandbox you have to follow their rules. How hard is that? “Google Inc. says its Android mobile operating system is “open.” But newly discovered documents reveal the strings attached. The documents show that Google has imposed strict restrictions on device makers that want access to its search engine, YouTube or the more than one million apps in its Play Store. In return, the device makers must feature other Google apps and set Google search as the default for users, according to the agreements. There’s an important distinction that many seem to be overlooking or just now realizing: Android itself is open. Anyone can freely use the open source code to create an Android build and run it on any piece of hardware they see fit. If I wanted to shoehorn Android on an old phone or tablet — assuming I knew how to do so — I could. So could you. This is precisely what handset makers in China have been doing: Taking the freely available AOSP, or Android Open Source Project, code and selling phones that run on it. Amazon(s amzn) has been doing this for a few years now too. 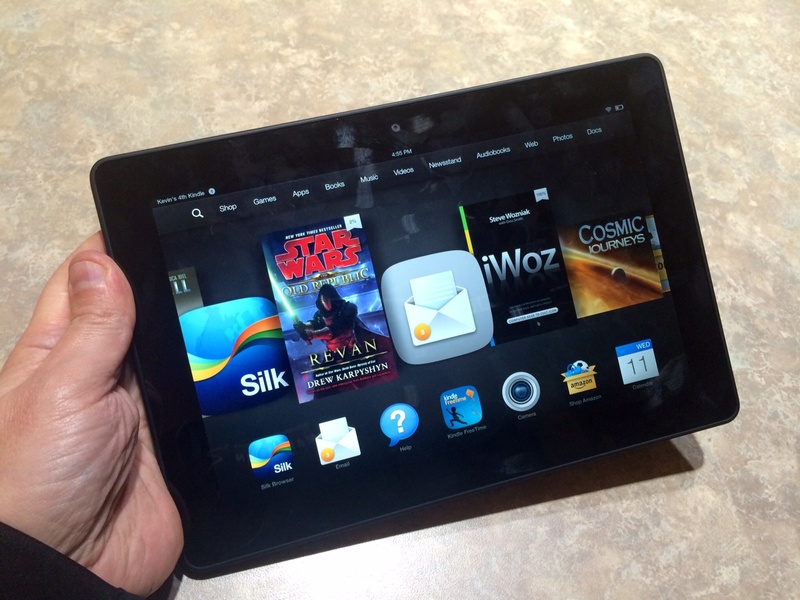 That Amazon Kindle Fire tablet you, a family member or a friend has runs the freely available version of Android. Amazon has built its own interface on top of Android and its own apps as well. You can browse the web with the Silk browser or check your Gmail with the Kindle email app. But no Android phones, tablets or my own theoretical Android product mentioned above, could run Google’s own suite of apps unless they were licensed. That means paying Google a fee for Gmail, Google Maps, Google Calendar and access to the Google Play Store, for example. It also means that Google has a say over what devices can have such access through licensing, meaning: It can set minimum device requirements for licensing. Amazon is a perfect example of a company choosing not to license Google’s apps so it has total freedom for its hardware design. Let’s step back a second and look at software licensing. 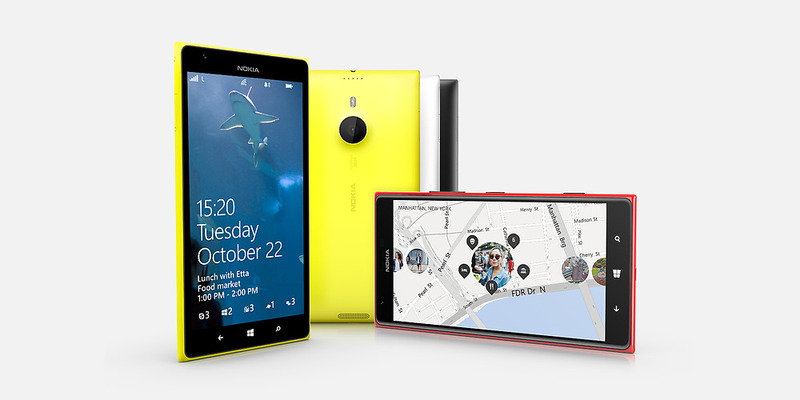 Much as Google licenses its mobile apps, Microsoft licenses Windows and Windows Phone. Companies pay Microsoft to put this software on their devices. And Microsoft has minimum requirements for each, just as Google does. You can’t run Windows Phone 8 on a device with a single core processor for example; Microsoft requires a dual-core chip. The handset must have a GPS radio and a minimum of 512 MB of memory as well. Why does Microsoft do this? For the same general reason that Google does: To create a minimum common hardware denominator that guarantees a certain user experience. If Microsoft were to let budget handset makers put Windows Phone on junk hardware, it would make Windows Phone itself look like junk. If you look back before 2010, you can see this in the Android world. Samsung created the Galaxy Tab back then: A slate that ran Android and Google’s own apps. Before that however, a few device makers — Archos comes to mind — built tablets using Android but wasn’t able to license Google’s apps. Why? Because the tablets didn’t meet minimum requirements; they were missing a key radio or camera component at the time that would have been detrimental to the experience. These tablets required workarounds for app stores and such as a result. Is there a bit of anti-competition? Evidence suggests no. So it looks like the EU will dig deeper into documentation that recently surfaced showing details of Google’s licensing arrangement for its Android apps. I’m not a legislator so I’m not going to recommend what the EU does or doesn’t do in this case. But I have written about the mobile market for a decade and I have seen some competition from those who license Google’s apps on Android. Samsung is a prime example. It has a licensing agreement with Google so its Galaxy phones, for example, come pre-installed with Google’s apps and services. But Samsung has also created its own versions of those apps. Pick up a Galaxy S4 and you’ll see duplicate apps for your email and calendar. 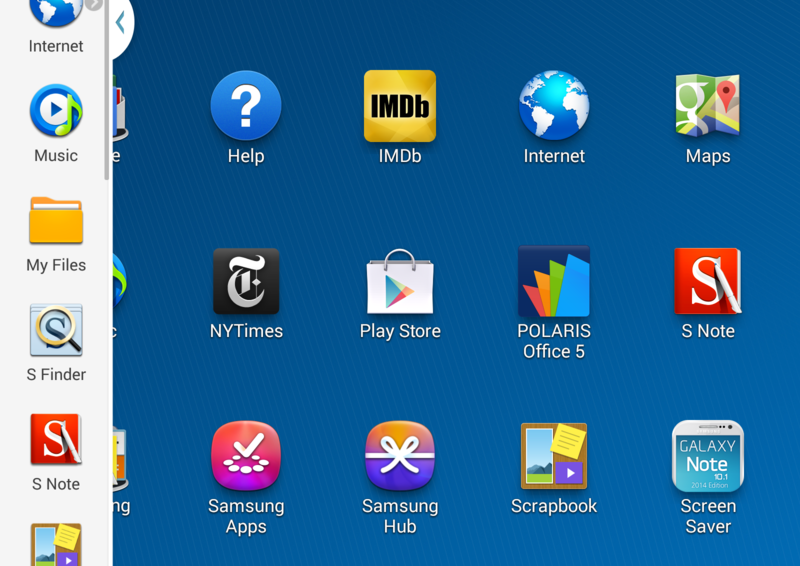 Heck, you’ll even see Samsung Apps, a mobile app store that competes directly against Google’s Play Store. The problem that I’ve found when using these third-party apps meant to replace Google’s own software is that they simply don’t measure up. And I’m not trying to point a finger at Samsung here; I’ve noticed the same from HTC and others, although HTC’s email app is better than most due to strong Microsoft ActiveSync Exchange support. The point is, these handset makers have tried to and continue to compete with Google’s software and services. So why is this a big deal now? Granted, there have been some situations where Android’s openness is questioned, even when it has nothing to do with Google’s apps. In 2010, mobile location company Skyhook sued Google over four patents and claimed that Google wasn’t competing fairly by trying to push its own Wi-Fi location services on hardware partners. Internal documents later emerged showing that a Wi-Fi location database was integral to Google’s own Android strategy. While incidents such as these do little to answer the question of Google’s own openness, the fact remains that Android itself is open to those who wish to build their own smartphones, tablets, watches or other devices. If, as my peer Russell Holly stated so well, you want to take advantage of Google’s software and service world, you’ll have to abide by Google’s terms. Every month I get deductions from my Bank account and get a SMS stating the amount has been credited to GOOGLE. When I have not authorized the bank to pay the amount to GOOGLE, was wondering who has ordered to pay this amount to GOOGLE. Does GOOGLE deduct the amount without informing the users? At least they should inform the users that the amount has been deducted for using Google Play. 2. Monopolistic behavior. To establish #1, Google requires that all OEM sign up for anti-fragmentation IF they want access to Play and some “killer” Google apps (maps, etc.). As an OEM, it’s hard not to sign this because without that Google software, your device isn’t that valuable anymore (remember the outcry around Google Maps on iOS ..?). So yes, it is behaving like MSFT: pushing your software and services down people’s throat. So the argument can easily be made both ways, depends on what you value the most. I love Google (well, I am on iOS tho :-) so I can live with #2, but very much respect that other’s may find it objectionable. Sure Android is open source software, but Google’s Android distro belongs to Google, and they can do whatever they want to their distro. It’s like Linux is open source software, but Canonical can do whatever they want to their Ubuntu distro. If you don’t like it, just switch to another distro, or compile your own. What’s so confusing? Strange. The problem is not with Android itself but with the Play Store. Google leverages the app store’s value to force OEMs to preload other Google services and further limit their freedom .M$ got punished for bundling IE and it’s media player. with Windows and so should Google. They should not be allowed to restrict access to the Play Store based on anything but technical reason nor should they be allowed to restrict access to other app stores.And ofc users should be able to remove any and all apps forced on them by Google, OEMs or carriers. Yes in some markets Android with Play Store access doesn’t own the vast majority of the market but in many it does. Ofc Apple should .at the very least , be forced to allow other app stores on it’s devices too,regulators should look at every major ecosystem ( that would be Android in most markets, iOS in a few and maybe WP in very few) as a monopoly from certain points of view. Ofc US doesn’t have regulators but Europe is a lot more likely to act and China would too if they had a good reason for it- guess they could act to protect the Chinese companies selling outside China. Great post and you are right – it’s VERY simple but some tech pundits like to conveniently mix up Google Services Framework and Google Apps as open source which is what probably has the EU confused as well.